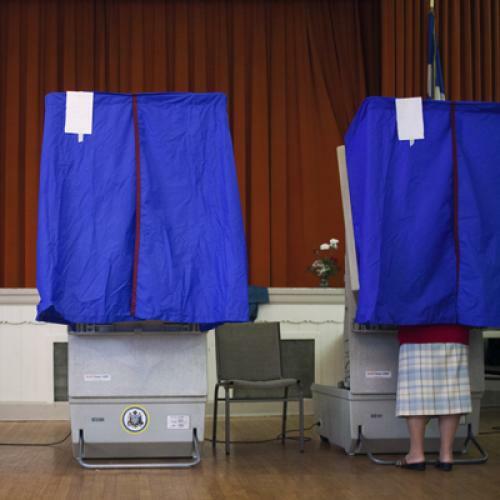 Will Pennsylvania’s Voter ID Law Cost Obama the Election? Everything had been planned just so for President Obama’s July 6 campaign speech on the front lawn of Pittsburgh’s Carnegie Mellon University. Obama’s Oxford blue dress shirt was crisply cuffed. His Pittsburgh Pirates references were timed expertly. The loopy, cursive lettering of the campaign’s “Betting on America” billboard got several seconds of air-time on the local news. But the speech was marred by sweltering, 100-degree heat, something that no amount of planning could prevent. Despite volunteers gamely spraying the audience with a portable hose, dozens of people were treated by local paramedics for heat-related issues. Come November, the campaign will have to worry about another factor outside of its control in Pennsylvania, one whose toll will far surpass the number of victims of the recent heat wave: the state’s new voter ID law. The new law is likely to keep hundreds of thousands of voters from the polls, many of whom are likely Obama supporters, jeopardizing the President’s confident march to victory in a state he won easily in 2008. The consequences could be vast. Pennsylvania has 20 electoral college seats, and as Robert Draper reported in the New York Times Magazine last weekend, the pro-Obama Super PAC Priorities USA believes that “Obama has to keep Pennsylvania in the win column” to get reelected. THE VOTER ID law, which was passed by a Republican statehouse and will be enforced starting in September, requires voters to show valid photo ID every time they vote. The claim is that stringent rules will prevent voter fraud, particularly voter impersonation—basically, a voter pretending to be another voter. He couldn’t have been clearer: fighting voter fraud is a fig leaf. The real goal is stealing Pennsylvania’s presidential contest from Barack Obama by suppressing the votes of his supporters. And the scary thing is, they might succeed. Consider this: A recent study showed that 758,000 registered voters don’t have photo ID issued by the Department of Transportation—the most common form of ID that lets you vote under the new law. That’s 9.2 percent of Pennsylvania voters. In 2008, Obama won the state by 624,551 votes. Right now, his lead in the polls in Pennsylvania is 6 percent. In other words, Pennsylvania’s disenfranchised voters could well tip the scales against the President. That’s because people without valid ID weren’t all that likely to vote for Romney anyway. A 2006 nationwide study by the Brennan Centre found that 25 percent of black voting-age American citizens did not have government-issued photo ID, compared to just 8 percent of whites. Meanwhile, citizens making less than $35,000—a demographic among whom Romney is not expected to do particularly well—were twice as likely to lack government photo ID as people making over $35,000. Yes, there are a few things that could mitigate the law’s impact. A coalition of nonprofits, including the ACLU, is suing to overturn the law, though their chances of success are unclear. And Pennsylvania’s secretary of state has said she will send letters to those without government ID telling them how to obtain it. The Obama campaign, for its part, is trying to do the same, educating voters about the law’s impact and encouraging those without ID to get it. “When we’re out talking to voters, we’re asking them, do you have ID? We’re really trying to incorporate that into our outreach,” said Jennifer Austin, the campaign’s press secretary in Pennsylvania. And, as Austin points out, some people without Department of Transportation ID will be able to vote with other kinds of ID—a passport, say, or a student card. So the estimated 758,000 voters potentially disenfranchised by the ID law may yet drop significantly. Still, it’s worth noting that Pennsylvania Republicans are not only making it harder for poor, black registered voters from casting their ballots—they’re also trying to make it harder to register in the first place. According to a lawsuit by two progressive non-profits, the state government has not been giving out voter registration forms at public assistance centers of late, in contravention of federal law. The evidence is troubling: in 1995 and 1996, public assistance centers got 59,462 voter registration applications. In 2009 and 2010, they got just 4,179. IN 1907, PENNSYLVANIA passed a law that made in-person registration mandatory for anyone who wanted to vote in cities, ostensibly to combat Boss Tweed-style voter fraud. At least part of the impetus for the law, however, was to suppress the votes of poor people and recent immigrants. Today in Pennsylvania, it’s 1907 all over again. And Obama may pay the price. Eric Andrew-Gee is a former intern at The New Republic.